Elegant leather gloves and feminine silk laces for women are small details which make the difference. Choose if you want to use accessories to highlight or complete your look. T astefully pairing clothing with shoes is a fine art—selecting the right accessories is crucial. You should not leave your choice of belt, socks, gloves or shoe laces to chance, as these “negligibles” can make or break a look. A properly accessorized outfit serves as a sort of calling card. 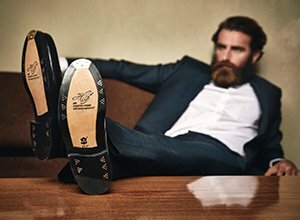 A new pair of shoes, sophisticated shoe care products or tasteful accessories? Thanks to our voucher, you will find the perfect gift for Him & Her. Light Merino wool and sophisticated cotton make these short socks and knee socks the perfect accessories for the modern gentleman. From stylish designs to classic models, our collection includes the right pair of socks for every occasion. Timeless elegance or modern chic – our leather gloves for women combine style awareness with perfect fit. C arefully chosen accessories do not just complete, but can also highlight your appearance. Accessorising in a sophisticated manner for work, meetings or private events reveals your feeling for fashion. Stylishly selected accessories can harmoniously round out an appearance, or add distinct accents. Our handcrafted men’s leather gloves are made from premium leathers, come in stylish designs, and promise a perfect fit. Our stitched women’s leather belts are simultaneously decorative and functional. Created using the same leather used to make our fine leather shoes, we offer two different leather widths and four kinds of buckle closures. A ccessories do not have to be serious all the time. Even in the classical dress code, the combination of different colours or even unusual designs is allowed. As long as the traditional side is preserved and fits the occasion, it is permitted to be a bit more extravagant. Classically waxed and black, or in bright and modern colours—our tasteful men’s shoe laces perfectly pull your outfit together.